Great wins in Doctor Love Scratch Card | Login & play! 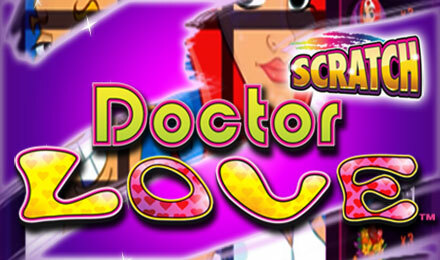 Love is in the air when you play Doctor Love Scratch Card! You’ll enjoy a cheeky theme and a game that’s so easy to play. Get ready to win big! Schedule your appointment with Doctor Love and get ready to win big! Doctor Love Scratch Card is a light-hearted game with a quirky medical theme. There’s a 3x3 grid, and you simply have to uncover the symbols (one at a time or all at once) – when 3 matching symbols appear, you win! How easy! Those symbols include Doctor Love, who pays out the most, as well as an Ambulance, Flowers and a Teddy Bear. Good luck!